There's an intensely moving exhibition 'Threads of Feeling' at the Foundling Hospital at Coram's Fields in Fitzrovia. When mothers left babies to be cared for, a meticulous record was kept of the new arrival. This included details of the baby's given name, baptism status and clothing. Mothers often also left tokens, in order that they might be able to identify the baby on a future, happier date. These ranged from rings and beads, to letters, to scraps of ribbon or fabric. The sense of thwarted love and hope is almost unbearable. While some children were reclaimed, thousands weren't. This note, with a scrap of printed cotton pinned to it, reads "Florella Burney Born june the 19th: 1758: In The Parish off St. Ann's So Ho. Not baptiz'ed. Pray Let particulare care be take'en off this Child As it will be call'd for again ..."
Heartbreakingly, she was not claimed and was eventually apprenticed to a millner in Barking. On a happier note, I also saw the 'Evolving English' exhibition at the British Library. This, as well as having the earliest known manuscripts of Beowulf and the Anglo-Saxon Chronicles and Caxton's bible, had some fantastic nineteenth century posters. And both were free! The London museums are wonderful things. 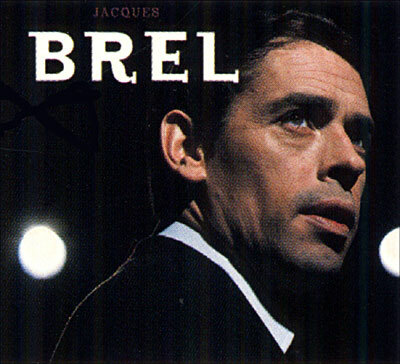 There was a whole lot of love for Jacques Brel in the 'Stow last night, where we went to watch the fantastic deadbelgian play at Ye Olde Rose and Crown. The singer has an intensity of vocal and emotional power that is compelling and we loved the flat-cap wearing, red-wine drinking accordian player, the versatile guy who swapped effortlessly between uke, flute, clarinet and sax, and the wisecracking drummer. The best bit, though, had to be the collective sigh that ran through the audience when 'Ne Me Quitte Pas' was announced: it certainly lived up to the anticipation, the hairs stood up on the back of my neck. See for yourself on the YouTube vid above - if you can zone out the annoying chatter of the audience. Or you can listen to more songs, including 'Amsterdam' and 'Jacky', on MySpace. I do hate throwing away nice glossy magazines, so a bit of collaging was in order this evening. I like a bit of cutting and sticking! No themes today, just random pretty thing that caught my eye... Yep, it's that unsophisticated! Fantastic documentary making from the Beeb charting the history of reggae in the UK. Archive footage of Notting Hill, Brixton and the Jamaican sound systems. Insightful talking heads from the good and the great. And lots and lots and lots of brilliant music. You can watch the full programme over at iPlayer if you're in the UK, I'm not sure how long it'll be there for so go get some! 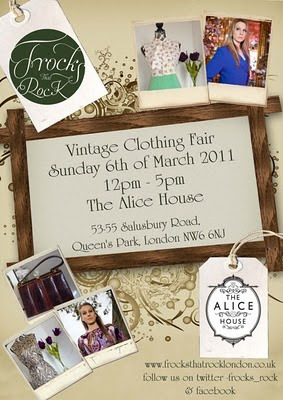 Butterfly Mind Vintage will be doing our first event in March! Those lovely ladies at Frocks That Rock are working in collaboration with The Alice House to host a brand new Vintage Event, and we'll be there as guest seller. There will be fabulous frocks, cocktails and afternoon tea, and of course, our splendid retro, vintage, secondhand, remade and preloved homewares. Do come along and see us! To find out more, check out the event page on Facebook or see the Frocks That Rock blog. Up at the crack of dawn for some flea market fun ... and a lovely cuppa in a converted train carriage.